! Font \zf@basefont=Flama-Light at 10.0pt not loadable: Metric (TFM) file not found.
! Font \@tempfonta=Flama-Light at 10.0pt not loadable: Metric (TFM) file not found.
! Font \@tempfontb=Flama-Light at 10.0pt not loadable: Metric (TFM) file not found.
! Font EU1/lmr/m/n/10=[lmroman10-regular]:mapping=tex-text at 10.0pt not loadable: Metric (TFM) file not found. This is my first Beamer example. I've searched for answers in this website and found some similar problems and followed their answers but I still end up with the same errors. The code produced a PDF file but nothing is written on the slides. My problem was that I needed to sudo apt-get install fonts-lmodern. Sounds as if your theme should be used with xelatex. In this case don't load inputenc! The beamer theme hsrm is clearly very much tied to the requirements of a particular university. In particular, it requires the Flama font, which is commercial and is assumed to be installed locally. It also requires the use of XeLaTeX or LuaLaTeX as a result. If you do have the font, use one of these engines and drop inputenc from your source. If you don't have the font you'll have to extract what you want/need from the theme by hand, at least dropping the font part. Not the answer you're looking for? 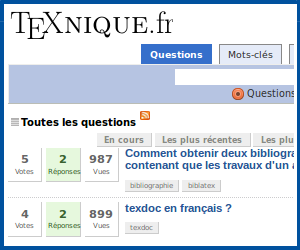 Browse other questions tagged beamer fonts miktex or ask your own question. vicent fonts package doesn't work?